Purchasing a new car is an expensive investment, no matter which way you look at it. If you are able to provide the cash outright to buy your car – which is rare and uncommon – then you will take a huge financially hit all at once, but will not have to worry about paying for your vehicle for years to come. On the other hand, the average American buying a new car typically can afford a nice-size down payment, but then opts to take out an auto loan to handle the funding moving forward. An auto loan is a transaction that allows another financial institution to pay off your car, while you in turn make payments to the lending institution. Interest rates accompany auto loans, which is what makes them profitable to lenders. Are you considering an auto loan? Below, the experts at Car-Registration.org have taken the time to outline factors in helping you decide if an auto loan is right for you. The first step in deciding if an auto loan is right for you is to review your current credit score. Your credit score will have a major impact on the auto loan you receive. For instance, if your credit is great, you will receive an auto loan with a low interest rate. However, if your credit score is dismal, then the experts at Car-Registration.org suggest thinking twice requesting an auto loan since your interest rates may be incredibly high and an auto loan may end up costing you more than you bargained for in the years to come. Another easy way to determine if an auto loan is beneficial for you is to go ahead and conduct a comprehensive budget to assess your finances. If you currently have a decent amount of cash to put toward your down payment on a car, then an auto loan may be a good decision. The experts at Car-Registration.org explain that the larger your down payment is, the smaller your loan will be. You will then have more financial flexibility in the future since payments for your auto loan will be lower, thanks to the big down payment you submitted upfront. While analyzing your finances, a big thought to explore is whether you are financially stable. Do you currently work at a job that will provide continuous growth for you or are you concerned for about your job security? If you worry about possible unemployment over the course of the next few months to a year, then an auto loan may not be in your best interest. Often when financially unstable, car buyers decide to enter into auto loans where they extend the loans so they have lower monthly payments. When you do this, you will incur higher interest rates. In addition, this allows the possibility of going upside-down on your loan, which is what happens when you end up owing more on your vehicle than it is actually worth. Try to get as close to 20 percent down on the car when negotiating an auto loan initially with a loan of five years or less. If you cannot make these terms happen, the experts at Car-Registration.org say an auto loan may not be the right move for you. When you take out an auto loan, you actually have several options at your disposal. Many car shoppers do not know that they can obtain auto loans from other resources. Do not get locked into an auto loan that does not feel right and is unaffordable. If the car dealership cannot meet your terms, the experts at Car-Registration.org recommend surveying other auto loan options. You can inquire about auto loans with online lenders, credit unions, P2P lending sources and more. 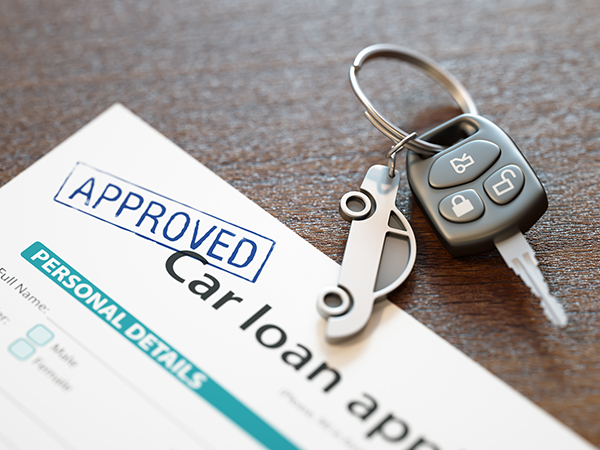 If an auto loan is on the prospect, make sure to do your extensive research on the lender and conditions of the credit.